It has been more than a decade I left my alma mater. Today, as we are celebrating Teacher's Day again, it rekindles many nostalgic memories of those innocent days. Throughout the twelve years (aged 6 to 17), I was under the wings of various types of teachers of three schools (and a kindy). Alhamdulillah, most teachers I know are the committed type. My first teacher (in kindy) was Cikgu Rohani. A teacher who noticed and acknowledged my potential. I could tell that she's very proud of me, who could read/write BM, English & Jawi, sing (like a frog) and lead the others at my age. Those days, u wouldn't need both hands to count the number of that kinda students. Nowadays, I reckon...u'd need both hands, both feet, and borrow other people's hands/feet to count the number of such students. Unfortunately, I don't have any of her pic. Well, those days... having a camera was like bringing a gun to the school! Anyway, she is still in my mind. Then, I went to SKTL, or as my siblings call it-SeKeTuL. Std 1 to Std 3, I was in the Hijau class. 3 Hijau - Cikgu Aziah Salleh, who has beautiful handwriting. Standard 4 to 6, Thank God... they shuffled and rearranged the students according to our performance... so I was in the Blue class. 6 Biru - Cikgu Rozita Ahmad, who who always gave 10 congak questions before the class started. Amongst the class teachers, my favs are the English teachers, Miss Jenny Ooi Joo Lin and Mr P.Panjanathan. The former was very trendy and fashionable. Unlike other teachers who preferred the plain baju kurung, Miss Ooi was like a goddess. She would wear striking eye shadow and cherry-red lipstick, with matching earrings. Her stilettos would match the puff-sleeved blouses and beautiful skirts she wore for the day. There was one day that she wore a red & green theme, and I was amazed at her one red shoe and the other one, green!!! The latter was a discipline teacher who liked to pinch students’ tummy. All students (except me, I guess) would divert from the corridor if they were about to bump into him. And he would yell at them “Hey, you!! !” that they ran away so they were not asked to pick the rubbish in sight. During English class, Cikgu Panja taught us many nursery rhymes. Last year, I tried to call him twice (when I was back in Penang), thinking of paying him a visit, but he was out, as the wife said. Okay...let's move on to my high school teachers. Form 2 : Cikgu Rohaya Abdullah (she wore purdah, I tell u!) <--gomen staff can, ah? Ustaz Salleh (during Kelas Kemahiran Quran, when I refused to recite... arwah once said - "Aii...Is******...last week, period... this week, still?" Ustaz Shushilil Azam Shuib who always provoked the girls, so I always asked him "So, why didn't u marry a man, instead of your wife?" 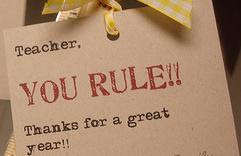 Actually, there are many more in my mind... but let's keep the list for Teacher's Day of the upcoming years. Other noteworthy teachers were Cikgu Siti Arpah (the only teacher who called me by the last two-syllables of my name. Funny! 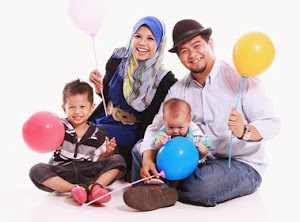 ), Cikgu Kamariah Zailan (cute) and this Biology teacher (what's her name eh? Baru puji sikit, terus lupa). Anyway, she always called up names in her class to ask question, which made butterflies had to work extra in our stomachs. But, she NEVER called mine. I believe, she didn't remember my name either. The trick was to cover the name tag/ the name written on the book cover whenever she passed by. Hehehe. Mmm... perhaps I do not keep many names of the people in that school in my memory box just bcoz I don't like the memories I had there. I am not putting extra strain to my brain trying to recall 'em all. But to be frank, I really appreciate those people who have made a significant change in my life. No matter wherever they are, I would really love to meet them and tell u that my success today owes to ur effort. May Allah bless u all, teachers! 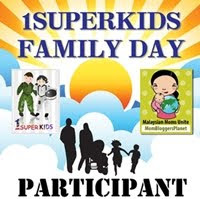 To all teachers out there… Yone, Sya/Yassir, Auntie (mama Wong), K.Ta, Witz, ex-TESL students of Queensland (all scattered in different places), etc. Happy Teacher’s Day! btw, how's life treating u? Feel free to leave comments here. What! No Tea & Scones?